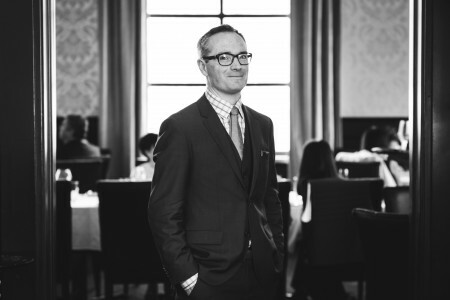 Join Jeremy, wine director, sommelier and co-owner of the famed Raymond’s restaurant meets up with old friend and rival Kim Cyr Le Caveau’s wine director and resident wine geek. Jeremy and Kim will guide you through a sampling of Nova Scotia’s “method traditional” sparkling wines. Paired with foods showcasing another fest partner Acadian Sturgeon caviar. They will keep it simple and dry in wine and wit. Kim Cyr is a certified sommelier by the American Court of Master Sommeliers in 2004. She has developed wine list and cellars across the country and has been awarded by American Express, Toronto Life and Enroute Magazine, published in Food & Drink and Vancouver Magazine, with mention in National Post and Globe & Mail. She has done James Beard House, Canada ā La Carte and East vs West at Raymond’s. Next to Nova Scotia, her first loves are biodynamic, natural and French wines. 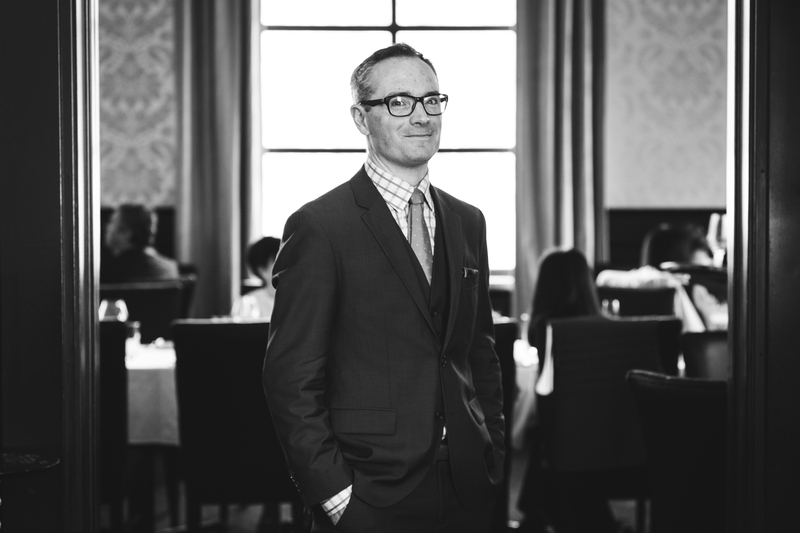 Jeremy Bonia grew up in Logy Bay, and began his career in the restaurant business at Bianca’s, one of Newfoundland’s original fine dining restaurants. It was here that he developed an interest in wine which led him to become a certified sommelier. In 2007 he met Jeremy Charles and went to work with him at Atlantica, where, in their first year, they earned the title Best New Restaurant in Canada from En Route. Together they opened Raymonds in 2010, and took the Best New Restaurant title for an unprecedented second time and is now considered one of the best restaurants in Canada. This year they opened their newest venture, The Merchant Tavern. Jeremy has traveled extensively throughout Europe and Canada researching and buying wines for Raymonds. He has been featured in Decanter, Wine Spectator, Fool, The Globe & Mail and MacLean’s among other national and international publications. Cornel Ceapa has dedicated the greater part of his life to studying and working with sturgeon. A scientist with a PhD in sturgeon biology, he is also a conservationist, a researcher, a fisherman, a businessman, a roving salesman and an unadulterated sturgeon geek who can spend hours talking about sturgeon migration, sturgeon anatomy, sturgeon fishing, sturgeon recipes, sturgeon everything. 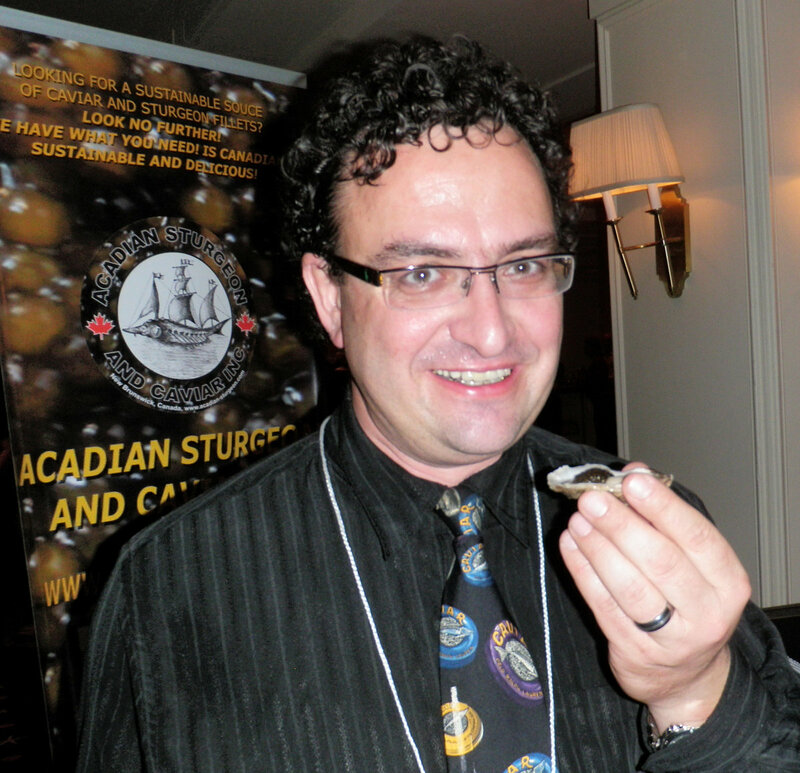 Founded in 2005, Acadian Sturgeon is truly a family business. Cornel works closely with his wife Dorina and son Michael to manage all aspects of the business – from caring for the fish, to harvesting, salting and mixing the eggs, to smoking and packaging the sturgeon meat, to managing the daily operations. Cornel and his family work hard, loving what they do and taking pride that they are able to build a very difficult, sustainable business using their knowledge and passion for sturgeon, as well as the support of the people around them. Note: This activity is restricted to 19 years of age and older.